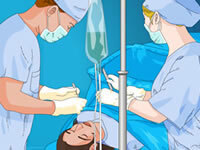 Play free pirates games online! Choose the pirates game you want to play from the list below. You can sort the games alphabetically, by date or by rating. Almost all of our pirates games are playable on full screen. Have fun! Your the Captain of a black pirate ship and you need to use your nautical skills to manuver and attack the enemy fleet guarding the treasure! A fun-loving, scenic ocean, shooting game. Shoot the taunting pirates with your sea-faring cannon. Can you get them all before your ammo runs out? Welcome to the next chapter of Ice Breakers! In Ice Breakers: Penguin Pirates you will have to sharpen your matching skills to beat the clock. Games.com has added some new twists to the game such as changing the color of tiles and clearing a path for special items like maps to drop off the board. Don't let the first few levels fool you. Ice Breakers: Penguin Pirates will challenge you! Get to it, Matey. Penguin Pirates await! Discover the Pirate's Gold in this 5-reel slot. The Bonus game gives you winnings of 10, 50 or 100 times your bet on the bonus bet line. Sink an enemy ship using a cannon, hit the ship with the golden and proceed to the second bonus game to add more winnings. Yo, ho, ho and away you go! Ghost Pirates is the pirate themed 5-reel inspired video slot complete with free spins, scatters and wild substitution. Plus a great new feature a game button panel with 3 - 243 bet ways at 1- 5 bet levels, what are you waiting for? Try it today and win! Managerial game in which you take role of pogoleg pirate races manager. Train your pirate in bar, buy items in black market, bet to earn extra cash in this exciting manager game. Your objective in this game is to race the other pirates to the island treasure and get there before they do. Pirates do what pirates do - they play dirty. Use your cannons to shoot the enemy before they shoot you, and try to outsmart them to the end. You get gold by blasting enemy ships and getting the booty at the end of the race. Use the riches to upgrade your boat, weapons, sails, and oarsman. 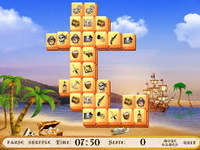 In Tortuga you are imprisoned on a pirate ship and must try to escape. Strain your brain as you solve clever puzzles and try to escape with your booty intact! Yarrrrr mateys. Defend ye Ship from them scurvy monsters! How many days will it take ye to get off the island? In this fun filled strategic Fupa game Fupa Raiders it is your objective to to raid neighboring castles and capture control of the map. There are between two different enemies which will attempt to take over your own castles and destroy you. You can customize your army and the armies of your enemies from over 63 different costumes including pirates, ninjas, wizards, generals, women, sailors, genies, gurus, and many many more. You must think fast and swarm your opponents with your horde of Fupas to rule the day! For Awesome! Now go seize the castles! Your computer has been infected by the Pop Pirates! QUICK! Defeat the evil music pinching viruses and reclaim your music files before it's too late! Frenetic-paced old-skool pixel vertical shooter! As a captain of Sky Pirates you need to look for a civilians and bring them to the airship. But avoid monsters! They can kill captain and civilians. Beware, watch your timer! Destroy all the sails to capture the ship. Don't let enemies escape to the fortress. Battle pirates, the royal navy and creatures too horrible to mention! Collect all treasures and purchase cool upgrades for your ship. A mutiny has been staged and the captain has been forced to walk the plank. Captain Skyro takes you on a swashbuckling adventure as you sling-shot your way into the sky to reclaim your ship. 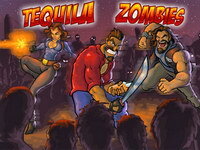 Each of the levels requires speed, skill and strategy to avoid the enemies, collect the treasure and complete the challenges. This lite version of Captain Skyro is just a taste of the mobile game. 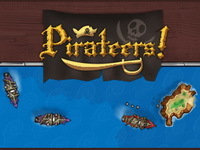 If you like pirates, sling-shots, treasure and adventure you will love this game. Get the mobile game on the Google Play and the App store now. Defend your ship from the angry pirates. Use your cannon to shoot at the enemy pirates before they try to take over your ship before they board your boat and steal your treasure. Orcs, pirates, and strange blue fishfolk are swarming all over the islands! Gather your forces, develop new technologies, craft devious tactics, and push these invaders out of our lands! If you're a fan of mahjong games, here we bring you a game of pirates. Full of good music and very addictive. 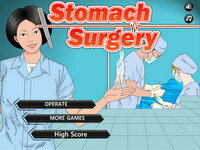 Choose from two modes of play and try to spend the fifteen levels of disposal. It seems easy but is a challenge. What if you are a pirate? What if you have a big ship and cannons? What if you see an enemy fort? That's right! Blast it! Ahoy there! Blast enemy soldiers within their forts! Destroy everything on your way to the booty! Earn achievements and collect the entire collection of trophies! Raise the tide but don't drown the villagers! Help the pirates sail and keep the plants watered by digging through walls in the this friendly puzzle game. The number one rule of Pirates - Protect the booty! Set up defenses and protect your precious gold in this fun strategy defense game. Monsters are after your treasure, but you need that treasure for more Rum! Launch your cannonballs to blow up the opponents. Play 60 levels, 30 as Ninjas, and 30 as Pirates, in this funny physics based bombing action puzzle game.